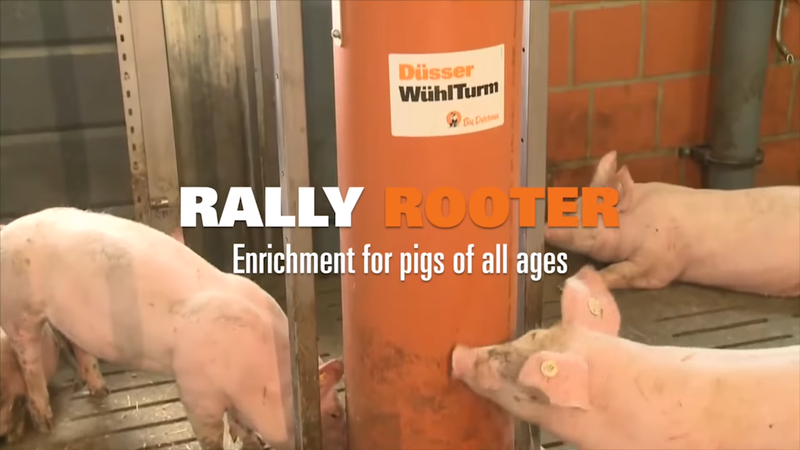 The Rally Rooter or “Düsser Wühlturm” (as it was called by its German engineers) is an enrichment device for pigs of all ages that can be placed inside large pens of finishers or sows. 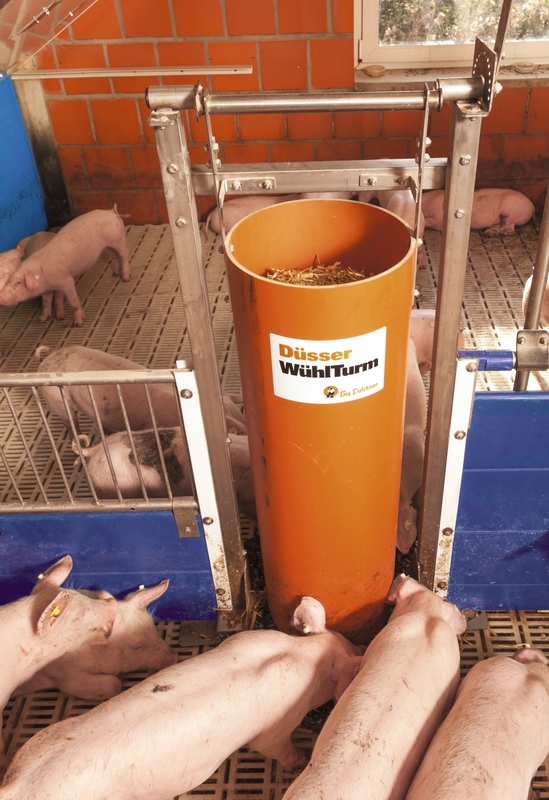 The animals are able to rally around and play with the loosely supported tube so as to root out forage particles placed inside the tube container. 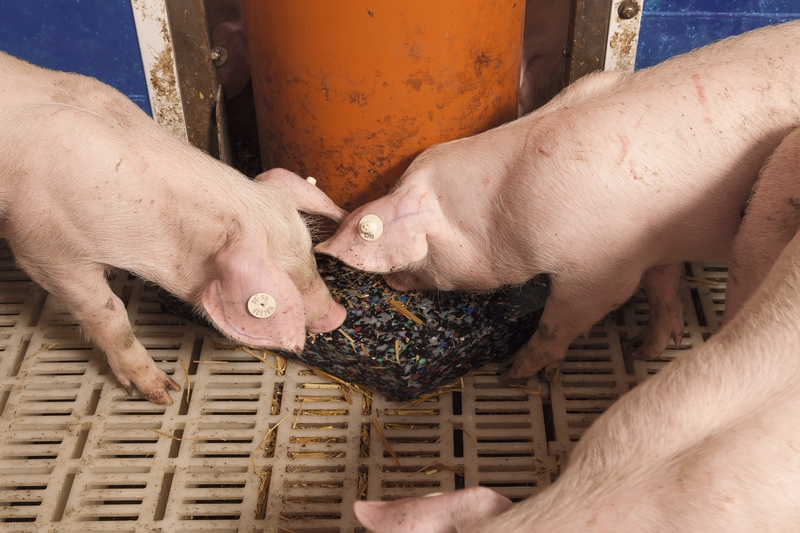 This enables them to carry out natural behavior.